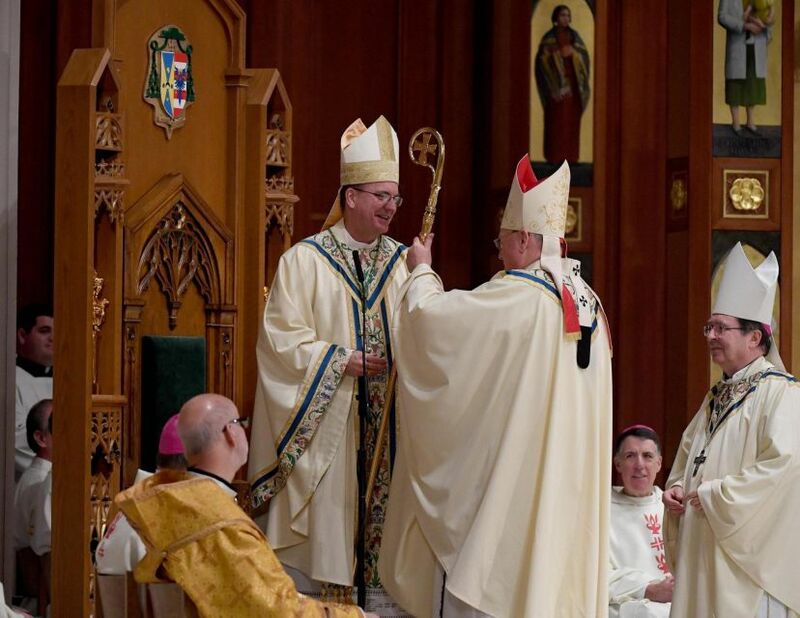 Eleven years ago this week, at his ordination to the helm of his hometown church, these pages dubbed the Eleventh Bishop of Nashville a "mitred teddy bear." On getting to know Bishop Dave Choby after the fact, the line just became more true – at his behest, it's admittedly the only thing this scribe has called him ever since. Yet now, the wonderfully sweet, soft-spoken prelate is in need of prayers far beyond Opryland. 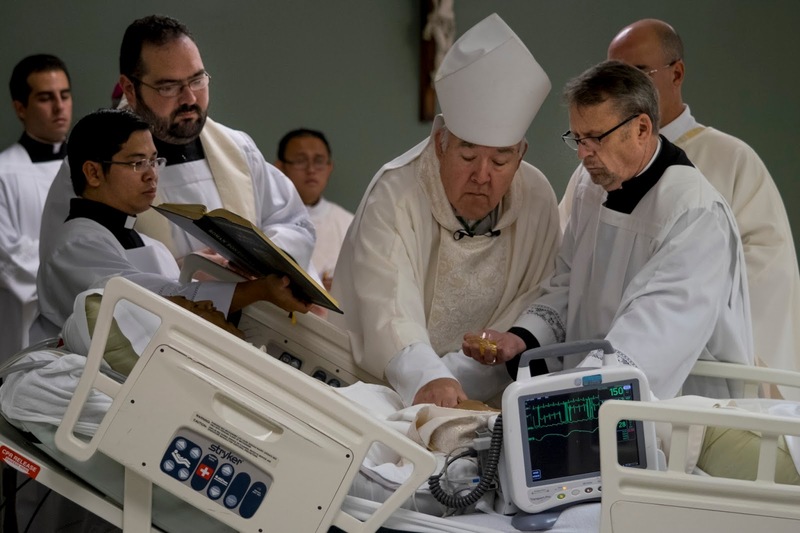 After years of health struggles stemming from a septuple (read: 7-artery) heart bypass surgery in 2010, weeks following his 70th birthday, a major fall at home in early February has seen Choby invoke an extraordinary provision of canon law, declaring Central Tennessee's 80,000-member, 38-county diocese "impeded" and entrusting its governance to his lead vicar-general, Fr David Perkin. According to the norms of law, a see is impeded when "by reason of captivity, banishment, exile, or incapacity a diocesan bishop is clearly prevented from fulfilling his pastoral function in the diocese, so that he is not able to communicate with those in his diocese even by letter." Given the bishop's ability to designate a caretaker – a task required of each ordinary at the outset of his tenure, lest an emergency arise – the canons stipulate that, once the arrangement is invoked, said delegate "is bound by the obligations and possesses the power in the exercise of the pastoral care of the diocese which a diocesan administrator has by law," creating the scenario of a de facto vacant see. Announced in a letter read at this weekend's Masses, the declared impediment of a diocese is without any recent precedent in the US church. Himself a Rome-trained canonist – and Nashville's elected administrator at its last vacancy – while Choby's letter cited "more than a handful of occasions where this has happened" domestically, the two Stateside instances the bishop recalled to aides from his sickbed in preparing the note never actually took place. 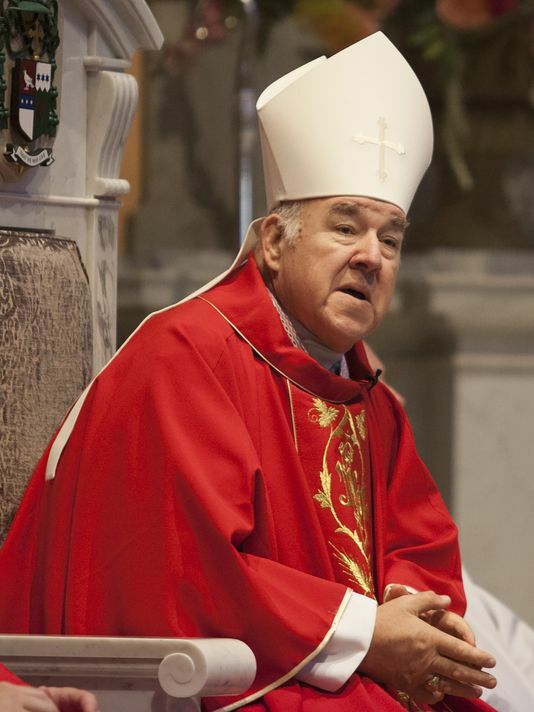 In any case, the gravity of the situation – both canonically and in terms of Choby's health – was further underscored this week by a bedside visit from the metropolitan, Archbishop Joseph Kurtz of Louisville, and reported consultation with the Nuncio to Washington, Archbishop Christophe Pierre, before Choby moved to trigger the impeded see. Though the Tennessee fold formally numbers some 80,000 Catholics in the state's middle third, its reality is considerably larger. According to local ops, a massive flood of Hispanic migration (and its lack of legal or ecclesial documentation) unofficially comprises a silent membership of some 200,000 more – a circumstance especially common to every diocese in the American South, and all the more pronounced given the region's relatively small numbers on the books. That aspect helps explain the principal act of Choby's tenure: the Nashville church's recent acquisition of the compound of the onetime Two Rivers Evangelical mega-church as the diocesan pastoral center, anchored by the move-in of the Chancery and the dedication of its 3,500-seat sanctuary as Sagrado Corazon (Sacred Heart) – the city's parish-hub for its booming Latino flock, with further space on the property to accommodate the anticipated future growth. Along the way, despite his own rough health, the bishop trekked to San Antonio at the last minute in late 2014 to ordain one of his seminarians, William Carmona, to the priesthood on his deathbed (above) in the face of terminal cancer. A Colombia-born late vocation in studies at Assumption Seminary, Fr William passed two days later at age 50. All that said, even for the reporting to be had in the moment, this scribe's first concern remains for a beloved brother and friend, and likewise for all the wonderful folks who've given their bishop such selfless care and support, thus making possible his wish to keep on, even for the considerable burden it's placed on him through these years. In that light, again, please keep our "Teddy Bear" and all the Nashville crew in your prayers over these days ahead... and at this point, a special word is owed to Deacon Jim McKenzie, whose dual experience in nursing and ministry, and moving dedication of both to his pastor-boss at home and on the road, has been a priceless blessing all around. I write to share with you my current health condition and its impact on the governance of the diocese. As many of you know, over the past four years I have sustained two falls. The first resulted in a broken arm from which I was able to recover while continuing my ministry and duties as your bishop. This second and most recent fall has caused damage to my spinal column including fractures of the vertebrae which are the supporting structures of the spinal cord. During the course of treatment, I developed an infection in the bloodstream. This complication has been the cause of my stay in the intensive care unit. The antibiotics have done their job in stabilizing my vital signs but recent tests have shown that bacteria has begun to grow in my heart. The next steps of my care are still being evaluated, and I continue to need your prayers and support. My current health condition prevents me from fulfilling all of my pastoral functions within the diocese. Church law addresses and makes provision for such circumstances. There has been more than a handful of occasions where this has happened in other dioceses around the country. In fact, every bishop is required to designate in advance, the priest he wishes to exercise diocesan governance, should the need to invoke this provision arise. By virtue of my incapacity, the Diocese of Nashville is impeded. I remain your bishop, but the governance of the diocese during this period of impediment is to be assumed by one of my vicars general, Very Reverend David R. Perkin, effective, February 25, 2017. He has graciously accepted this responsibility and I am sincerely grateful to him for his kind and generous willingness to serve. I am confident he will provide able leadership for the wellbeing of our diocese. In this position, as described in Church law, he is bound by the obligations and possesses the authority which belong to a diocesan administrator. I am comforted in knowing you will support him in this new role. I express my thanks to all the people who have sent their prayers and words of support during this hospitalization. I want all of you to know it has been the happiest and most rewarding years of my life serving you, the Church, and almighty God as your bishop. You remain in my prayers and thoughts. Amid a wider scene dominated by no shortage of noise and flash whether inside or beyond Churchworld, what's happening on an apparently quieter plane is arguably well more significant. ...and, to be sure, that was true even before a cardinal was parachuted onto the "other" bank of the Hudson. Tempting as it is to muse at length on the shape of things elsewhere, suffice it to say this: in a moment when hype is too often confused for "news" – by producers and consumers alike – the key lies in knowing the difference. And with that, let's pick up the latest installment of the shift at hand. Despite one of the most illustrious academic resumes among the US bishops – Princeton undergrad, an MBA from NYU, and advanced Roman degrees in both theology and the canons – over seven and a half years in Upstate Pennsylvania's land of "iron and coal, and chromium steel," Bishop John Barres resisted the role of an ecclesial "public intellectual," choosing instead to keep his head down and do the work of a pastor. Along the way, however, the 57 year-old has nonetheless amassed a quiet yet formidable following among much of the Stateside bench. So when Pete Carril's onetime JV point-guard took the reins of Long Island's 1.6 million-member diocese based at Rockville Centre on Tuesday, a picturesque snowfall framing the scene, the prodigal New Yorker marked his return with a splash – an extraordinary turnout of over 60 prelates: that is, almost double the crew an event of the kind would normally see. The son of Protestant ministers who would become leaders among Manhattan's 1960s convert scene, from boyhood Barres had an almost unique immersion in the modern history of Catholic evangelism in the United States: Frank Sheed guided the future bishop's parents into the faith, Fulton Sheen would baptize him, Avery Dulles was another longtime family friend who'd attend his first Mass. Reflecting the richness of his background and the moment, Barres' opening preach to the Island's mega-church proved an according tour de force – probably the first of its kind to draw from one of the Great American Novels... definitely the first in a good while to cite Pius XII... and – with the ever-dreaded challenge of overhauling the parish structure looming in his new charge's future – a very stirring, yet clear-eyed kicker, "asking the Holy Spirit for new and creative approaches... to pastoral and strategic planning that are both Spirit-driven and data-driven, and that break through a tired and broken, 'us vs. them,' self-referential mentality." With this month's dual New York leg of the tour now put to bed, the focus to come happily shifts southward to the Metroplex, now overflowing with "human sunshine" after Bishop Ed Burns' arrival yesterday to prep for his installation as Dallas' eighth shepherd next Thursday. Given the Pittsburgh native's own dedicated fan-base among the bench – and, conveniently, the confluence of the National Catholic Bioethics Center's annual bishops' seminar in town through the week – as with Rockville Centre, a very healthy contingent is slated to be on hand. Even so, amid a local church grown nearly seven times in size since 1990, the top line on the move remains the staggering shift of scale facing the Pope's pick: for every member of the flock he leaves behind in Juneau (the nation's smallest Latin-church diocese), no less than 130 of 'em await in Cowboys Country. For a good while now, "Everything's bigger in Texas" has been a good slogan for Stateside Catholicism at large... and, well, few stats better sum up the "why" behind it than that.